This is a heavy duty basic, reliable transfer wheel line marker for use with liquid compound or diluted powder. This marker gives a clearly defined line in any conditions. It has a 4-gallon capacity tank and standard solid rubber wheels 305mm diam. 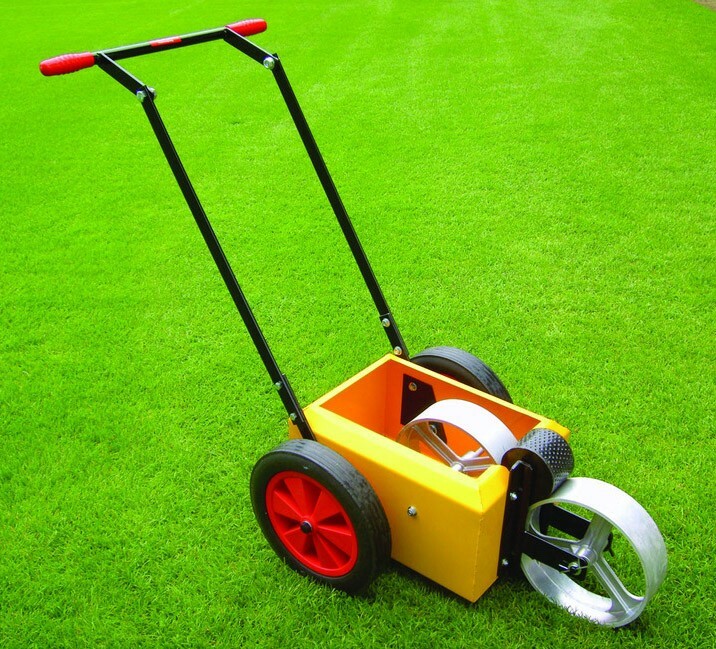 The marker wheel can be supplied at 38mm, 50mm or 75mm (specify when ordering). Also available is a Dimple marker with pneumatic wheels.